1928: What Happened in the World of Kung Fu? -The Central Guoshu Institute was established by the Nationalist (KMT) government and subsequently held its first national martial arts tournament in Beijing. –Cheung Lai Chuen was in the midst of expanding his chain of commercially successful White Eyebrow schools throughout the Pearl River Delta. This helped to introduce thousands of new students of all ethnic and linguistic backgrounds to the “Hakka” fighting systems and led to Cheung gaining various teaching positions at regional police and military academies. –Chen Fake was invited to teach Chen Style Taiji in Beijing. – In Kao-t’ou Village (western Henan) deadly violence broke out between two rival martial arts groups who both claimed to function as local militias. One was a chapter of the Red Spear Society backed by regional landlords. The other was called the “Bare Egg Society.” It supported and organized landless peasants who were not eligible for membership in the former group and whose leader felt that they had been wronged and humiliated by it (see Perry, 173-174). -In Foshan Ng Chung So taught Wing Chun and may have still owned a ceramics shop (the family business). At the time he (rather than the “Three Heroes of Wing Chun”) was the main personality advancing the art in the region. Note that most of his students seem to have been well-off sons of local industrialists and business owners. –Yang Style Taiji Sword including Taiji Long Boxing was published by Chen Weiming. –Wang Xiangzhai (a Xingyiquan master and the later founder of Yiquan) defeated Hungary Inge (holder of a professional lightweight boxing title and a boxing instructor at the Shanghai YMCA) in a public bout in Shanghai. -In an act of violent retribution Shi Yousan, an officer of warlord Feng Yu Xiang, burned the Shaolin Temple and many of its outlaying sanctuaries. The conflagration consumed the monastery’s priceless library and much of its Qing era martial arts heritage. -Building on the commercial success of a new generation of martial arts novels and radio shows, the “Burning of the ‘Red Lotus Temple’”, the first truly successful martial arts film, was released to the public. 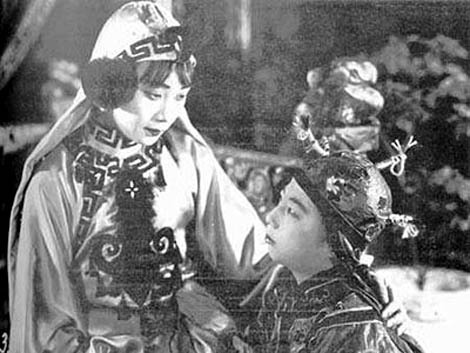 A still from the “Burning of the Red Lotus Temple,” the first Chinese martial arts film. 1928. In 2009 the novelist Chimamanda Adichie delivered a TED Talk titled “The Danger of a Single Story.” Recently I saw her presentation referenced in another on-line discussion, and it occurred to me that her basic insights are really quite important as we think about writing within the field of Chinese martial studies. We tell stories about the past because we want to impart knowledge or understanding. Yet this inevitably creates a power dynamic between the speaker and the audience in which the subject (in this case the history of the Chinese martial arts) becomes a contested field. Nor can we be saved by simple appeals to “academic objectivity.” The problem is endemic to any sort of theorizing because framing a coherent narrative inevitably requires that we emphasize some voices and perspectives while forgetting others. I do not say this as a call to despair. Identifying a critical issue is the first step in understanding and dealing with it. The social sciences and humanities are full of important theoretical arguments about how to approach these dangers. Nevertheless, Adichie’s framing of the problem is very eloquent and provides an excellent first cut at the problem for the casual reader. Please take a few moments and check out her talk before going on to the rest of this essay. A group photo of organizers and athletes at the 1928 National Guoshu Examination. The process of simplification is a double edged sword. In graduate school students quickly learn that the key to producing an effective paper is to begin with a well-defined (i.e., narrow) research question. A focused and tightly structured argument aids both the reader as well as the writer. Such a hypothesis is easy to explore or test. Nor can anyone effectively address every aspect of a complex topic in a single paper. At least that is what we tell our students. Unfortunately when we only tell a single story about a topic we actually risk erasing it as a social event rather than creating real understanding. Consider an example drawn from the field of Chinese martial studies. Rather than attempting to address all of the modern and traditional fighting arts, let us begin by narrowing our topic down to trends in just the Republic period. After that we will select a single year, in this case 1928. How have we as a field typically told the story of Kung Fu in 1928? One can actually get a pretty good sense of the story that we tell simply by googling “Chinese martial arts” and “1928.” All of the top results (at least for my search engine) focus on the founding of the Central Guoshu Institute in Nanjing and its rushed efforts to host the first national martial arts tournament (held in Beijing) in April of that year. This is not a surprise. 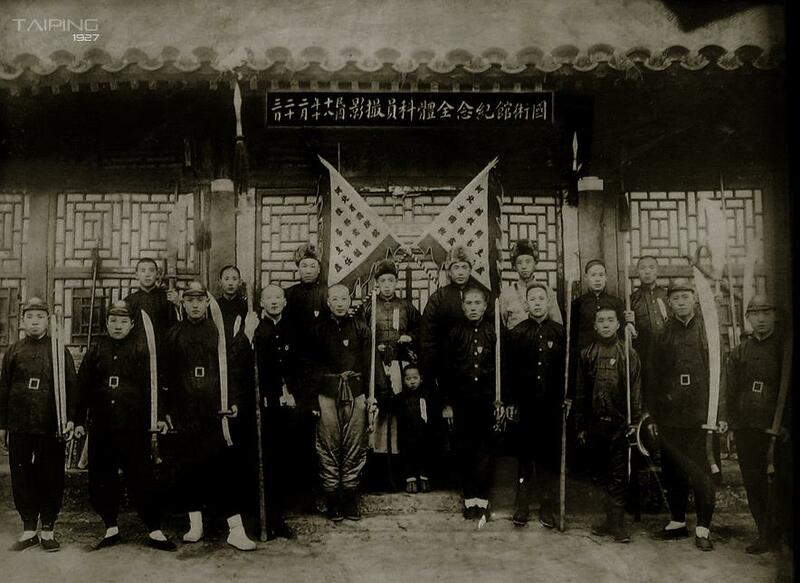 The Central Guoshu Institute positioned itself as the leading national voice of the traditional fighting arts for much of the 1930s and 1940s. It used its political backing to advance a vision of the modernized and reformed arts that preserved the best of China’s ancient culture while strengthening the nation and placing its physical resources directly at the disposal of the ruling Nationalist party. Understandably historians are drawn to the Central Guoshu Institute. The organization sought to demonstrate its commitments to reform and modernity by producing a rich literature of style manuals, journal articles, educational periodicals and even political essays. These sources throw the movement into bright light (something that we generally do not get a lot of within Chinese martial studies) and makes it comparatively easy to research. Many discussions of 1928 do not seem to make it past the first item on our opening list; the Central Guoshu Institute has become the single story that we tell when addressing the martial arts of the Republic period. Nor is this simply a matter of the availability of research materials or the need for parsimony. I think that there is another factor which helps to explain the strong hold that Guoshu tends to exercise on the scholarly imagination. This was a movement that used its various resources to self-consciously craft its own preferred narrative of the evolution and modernization of the Chinese martial art. It is all too easy to tell the story of “Guoshu” as the movement spent a substantial amount of resources developing a discourse that has come down to us today in the rich literature that they left behind. Shaolin’s warrior monks during the late 1920s. This photo was taken prior to the burning of the temple. There are two fundamental problems that students must be aware of when confronting a single story portraying a complex phenomenon. By deciding how an issue is to be framed, as well as what information will be given or withheld, the author of such an essay attempts to exercise a type of power over the audience. Learning has never simply been a matter of imparting randomized bits of data. Instead authors present their facts to support what is by necessity a simplified view of reality. When we tell a story about 1928 that focuses on the evolution of modern Guoshu, but ignore the ways in which the traditional martial arts were being used to carry out class based community conflicts in rural areas of northern China, we privilege a middle class and urban reading of Chinese popular culture at the expense of a plebeian and rural one. Nor does this issue stem solely from western academics “misreading” of the historical record. The Guoshu movement itself worked very hard to produce a hegemonic discourse that would support and advance its work. It sought to gather the moral authority and political resources necessary to reform all of China’s indigenous fighting systems by claiming that the traditional martial arts were dying. It argued that over the last hundred years the state’s once pure hand combat styles had been corrupted by ignorant superstition in the countryside and greed driven secrecy in the cities. If the martial arts wished to survive they would need to be “restored” as modern activities suitable for educated and increasingly middle class urban populations. None of this was objectively true. The martial arts of the 1920s and 1930s were not dying. They were more popular than they had been during the 1820s and 1830s. 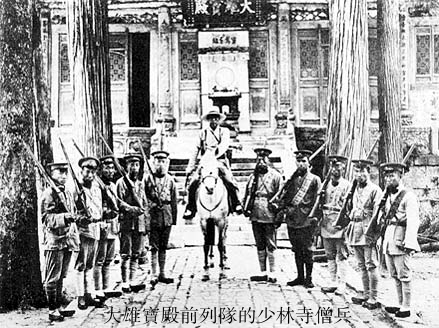 Nor was the Guoshu movement really standing in the vanguard of a vast reform movement. While they attempted to lead, most martial artists did not follow. They had no need of their tournaments, journals or regional academies. The teachers of the folk styles in this period found that they could thrive with very little interaction with the Guoshu movement. Given the fragmented political geography of the Republic, the highly partisan nature of the Guoshu movement severely limited the actual scope of its influence. Nor were all consumers equally enamored with its reformed and modernized vision of the martial arts. In truth Guoshu needed the cooperation of the commercially successful folk teachers much more than they needed an ideologically motivated national “reform” movement. Historians must exercise caution when dealing with Guoshu’s characterizations of the hand combat community in the late 1920s. Still, the broader point of this example is not confined to the Guoshu movement. Any narrative about another people or culture might be more or less well done, but it is never innocent or without consequences. This is precisely why it is important to consider not just alternative viewpoints, but what one’s theoretical motivation is when undertaking any type of research program. Secondly, as scholars we need to acknowledge that discussions of the martial arts themselves are in some ways problematic. For many westerners these fighting systems have become the single story that defines not just China, but all of Asia, in the popular imagination. It is interesting to consider why this is. Historically the martial arts (Jujitsu in the 1900s, Judo in the 1950s, Kung Fu in the 1970s, Ninjitsu in the 1980s) have played a critical role in defining the conceptual space that China and Japan would occupy within the popular imagination. Both media discourses as well as the large scale adoption of these arts by western consumers drove the construction of these associations. Also problematic is the fact that most individuals do not possess a deep familiarity with these practices or understand the (often limited) place that they occupy in their home cultures. Our popular understanding of the mysterious, spiritual, strange and exotic “martial arts” is used to reinforce a type of “romantic orientalism” of the sort that Edward Said warned against. The ever present links between hand combat and violence must also be considered. In the west these practices have been subject to cultural appropriation and are often redeployed as a commercial vehicle to express new age longings. Seemingly everyone knows that the martial arts are “not about fighting.” Yet their latent associations with violence and brutality (portrayed in such loving detail in movies, video games and comic books), remains just beneath the surface, reinforcing subconscious prejudices about “oriental despotism” which extend far back into the 19th century. One cannot simply ignore the important role that the martial arts have played in the formation of western popular culture and its perceptions of Asia. Nor can you seek to address this issue without first acknowledging how complex it is. Again, the social scripts that lay behind this “single story” of the martial arts are not solely a product of an overactive western imagination. The question is fascinating precisely because of its transnational character. Following the end of the Cultural Revolution (and even earlier in Hong Kong and Taiwan) Chinese reformers sought to appropriate the martial arts in an attempt to combat an even less flattering set of stereotypes, often referred to by the shorthand “sick man of Asia.” Bruce Lee’s films helped to redefine the possibilities of Chinese masculinity throughout the global arena. A little later Jet Li’s “Shaolin Temple” was promoted by the state precisely because it functioned as a symbol of a new era of openness and cultural pride within mainland China. Indeed, western audiences became avid consumers of these discourses, transmuting them to their own social ends. The current Chinese government is well aware of the global appeal of its national martial arts. Within the popular imagination these arts are associated with positive values such as self-cultivation, strength, mysticism and (paradoxically) non-violence. The state has sought both to reinforce these popular perceptions abroad while marshaling them as potent tools of “public diplomacy.” Indeed, the global growth of Kung Fu has helped to both soften and polish China’s image. Rather than combating “orientalist” stereotypes and historical misconceptions about the martial arts, the Chinese government seems content to promote and exploit them. It is important to state this clearly. Simplistic portrayals of the Chinese martial arts erase the richness and diversity of these practices. On one level this is an unfortunate side effect of making anything a “disciplinary object.” Theoretical models, like stories, are always simplifications of reality. Not all such movements are equally innocent or random. The case of “Kung Fu diplomacy” demonstrates how promoting a “single story” can become an actual source of power. Of course if the early exponents of Guoshu are correct, if the martial arts exist only to strengthen the nation and the party, the motives of those attempting to promote a more diverse set of narratives begin to look suspect. It is difficult to escape questions of ideology and influence when telling stories about the past. Cantonese Opera Performers in San Francisco in the early 20th century. Chinese Opera and popular entertainment has been linked to the martial arts since at least the Song dynasty. 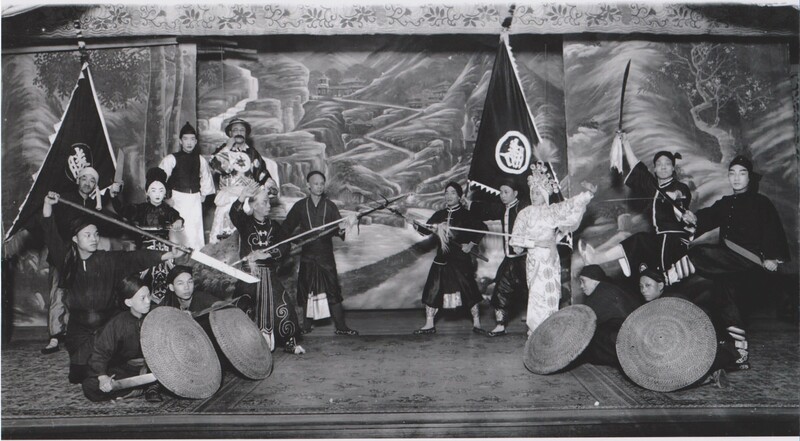 Vernacular operas in Guangdong were especially noted for their emphasis on martial themes and performances. As much as I enjoyed Chimamanda Adichie’s discussion of this topic, it is interesting to note that she offers very few concrete steps that one might take in avoiding the dangers of a single story. Rather than thinking about what all of this means to us as writers, she instead attempted to educate her readers. Even if we have only been presented with a single account, she urges us to mentally compartmentalize the new narrative, to realize that there are probably a good many other stories that we have yet to hear. This is very good advice. It is incumbent on us as students to strive to be better, more sophisticated, observers of the human condition. Still, it seems odd to chide audiences about the dangers of telling a single story. Why not address the creators of these narratives more directly? The answer is simple. As a brilliant author Adichie needs the freedom to tell a single story. No one character, narrative or novel can be all things to all people. Nor is that the point of art. It is not even the point of academic writing. The originality of a good piece of literature ensures that its scope, focus and theme will always be limited. Paradoxically Adiche seeks to educate her audience so that she can be free of the ethical burden of telling a single story. While I am a different sort of writer, I fully understand this impulse. There is a reason why every article, research project and manuscripts starts off with a clearly defined research question. Part of the burden of writing is being forced to include this, and omit that. No manuscript is long enough to include every perspective. In fact, we usually cannot include most of the really interesting stuff that we have discovered along the way. And yet we go on writing about vastly complex subjects anyway. In terms of Chinese martial studies, there are a few things that authors (rather than just readers) may want to consider when confronting the dangers of a single story. First, we need to be careful with our case selection. While we may only have the time to present a single case, or to discuss a single theory, we should carefully consider its general relevance. Historians employing “process tracing” as a methodology do this when they select instances of rupture or discontinuity not simply because they are interesting, but because of what they tell us about the evolution of a specific institution. Likewise ethnographers (who in the course of their research collect vast numbers of stories, most of which will never see the light of day) may decide to discuss an event not because it leads to some significant change, but because it contributes to a richer understanding of a stable set of social institutions. In some ways these methodologies are very different, yet they both seek to control for the dangers of “a single story” even within the confines of a single case study. To be of any significance our study of the martial arts must be contextualized so that it leads to a more profound engagement with society, not its erasure. When seeking to understand the story of Kung Fu in 1928 should we simply look at events within the realm of hand combat? Or do we need to begin by noting that this year also saw the conclusion of the Northern Expedition and the creation of the Nanjing government? One suspects that Chiang Kai-shek’s conflict with both the independent warlords and the communists strongly conditioned the martial arts policies of his government. How important is it to note that a major famine was just starting to grip Northern China (an event that would cause massive social dislocation) while the southern economy was growing through its increased integration with global market forces? Events within the hand combat community are interesting precisely because they illustrate the ways in which society reacted to a variety of factors. When these other social locations and events disappear from our discussion, it is a warning that we may want to rethink the “story” that we are telling. While a certain degree of parsimony is necessary in any sort of research project, authors can avoid the temptation of relying on single variable theories. Given the complexity of social systems we generally expect to find that more than one discourse or variable is at work in most instances. This is critical as these factors often interact with each other. While it may be impossible to include every significant factor in our theory, we can avoid some of the worst pitfalls of the “single story” by thinking in terms of dialectic interactions rather than just dominant discourses. For instance, the reforms of the Guoshu movement were deemed to be “radical” precisely because they attempted to make inroads into a set of preexisting institutions characterized by very different identities and values. One cannot really understand the purpose of the Guoshu movement without having a solid grasp on what the folk hand combat community was like. This is precisely why it is critical that we not allow it be erased from our historical discussions, even if the Guoshu movement is our sole subject of study. When we put two different stories side by side we sometimes discover the existence of fascinating synergies and interactions that might have gone unnoticed. In this case considering two stories may result in a single powerful theory, but considering only one might lead to none. Another powerful tool in the arsenal of academic writers is the idea of a “research program.” Artistic considerations might prevent Chimamanda Adichie from returning to a previous novel to rewrite the exact same set of events from a different perspective. Novels tend to be more singular in nature. Academic writing rarely is. One of the reasons why we are willing to approach a complex topic from a very specific perspective is precisely because we leave open the possibility of returning to it (or a related case) with a different set of conceptual tools at a later date. This sort of “methodological triangulation” can help to build a much richer understanding of social institutions. In this way each new paper contributes meaning to those that came before. A really useful research program rarely emerges by chance. This is a project that requires not just planning and persistence but a fair degree of self-reflection. Certainly there are dangers in telling a single story. They are most acute when we allow a single discourse to colonize our imaginations. Yet when we consciously select the narratives that we use, and are mindful of their actual significance, a single story can be a very powerful thing. If you enjoyed this essay you might also want to read: David Palmer on writing better martial arts history and understanding the sources of “Qi Cultivation” in modern Chinese popular culture. I have long argued that the Guoshu Guan was more of a physical education school than a martial arts academy. The vast majority, if not all of the martial artists of note connected with the institution (the Chu/Zhu brothers, Chang Deng Sheng and so on) were accomplished practitioners and fighters before they entered the institution. So the focus of this ‘physical education’ model is more associated with the modernization of China and part of the national trend to make physical culture more Chinese, than it was about producing highly competent fighters. We see this trend in other areas of martial arts – Yang Cheng Fu makes Taiji a health exercise around this time and stops teaching it as a fighting art – case in point Chen Wei MIng’s book on Yang style sword, mentioned in your articles, states that Yang Cheng Fu did not teach applications of the sword (which, as an aside, leaves many receivers of the ‘secret sword transmissions’ waving in the wind). I think if we consider for a moment that the Guoshu Guan was not a martial art school with traditional combat goals, we can see a whole variety of stories that more readily fit with its contribution both at the time and as a model for modern wushu.